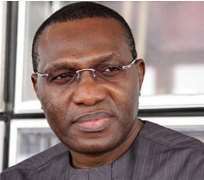 BEVERLY HILLS, June 30, (THEWILL) – An Abuja High Court sitting in Apo, Gudu District, has dismissed a certificate forgery suit filed by one Uchenna Nnadi against Senator Andy Uba. The presiding judge, Justice Valentine Ashi, ‎said the law says that he who asserts must prove; and that the plaintiff had failed to lead the court with further evidence. Ashi said that the ‎plaintiff should have investigated and gotten his facts from the Independent National Electoral Commission (INEC), which cleared the defendant as being eligible for elections. He added that the plaintiff should have also conducted checks at Union Secondary School, Awkunawu, Enugu State, where the defendant said he obtained his School Leaving Certificate as opposed to Boys' High School, Awkunawu, which the plaintiff claimed. The judge dismissed the suit and said the plaintiff failed to investigate the defendant's claims and therefore failed to prove the forgery case against him. Nnadi had sued Uba on the grounds that he presented a forged School certificate from Boys' High School, Awkunawu, and so unqualified and ineligible to stand for elections. Uba, in his counter affidavit, ‎however, denied ownership of the said certificate and maintained that he graduated from Union Secondary School, Awkunawu, which he submitted to INEC and was properly cleared.